The Merkabah Vehicle is the means for traveling to higher dimensional planes and for ascending the physical body out of the 3rd dimension. Our Merkabah Vehicle is in essence our own inter-dimensional star-craft – similar to the structure in the Contact movie, albeit far more complex. The degree to which we have assembled our Merkabah Vehicle, will determine how far we can progress through the Astral Planes and whether we are able to use the interstellar and intergalactic wormholes. As we awaken to our higher dimensional selves and engage in conscious astral travel, we begin to ‘build’ our Merkabah. This process is also greatly assisted by vibratory cleansing, emotional healing, karmic trans-mutation and the detoxification of harmful substances from our bodies. This then activates dormant DNA strands within our Being and our Light Body is activated. The fully activated Light Body has the means to build around itself a geometric structure out of etheric particles that facilitates movement between different dimensional spheres. 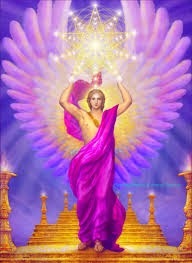 Our light body is often depicted in art as being within a Metatron’s Cube or some other similar geometric structure. 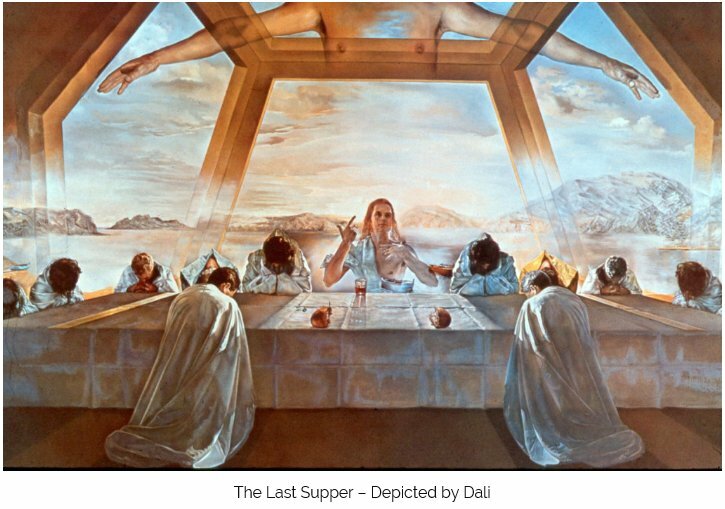 Some of Dali’s paintings of the Last Supper of Christ depict this meal taking place within a dodecahedral structure. 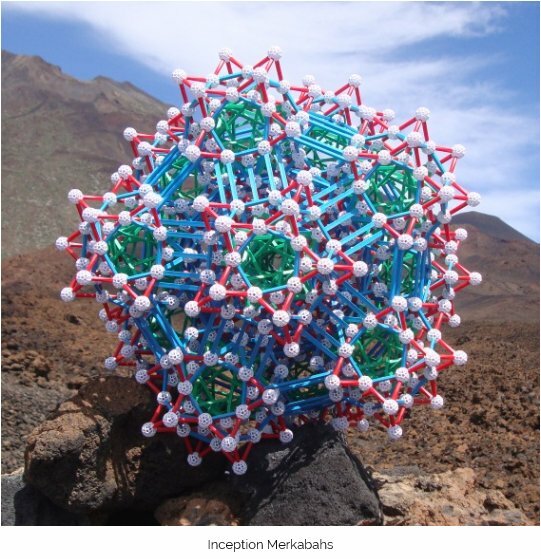 Merkabah geometry primarily uses the geometry of the Archimedean Solids and the Platonic Solids, which appear to be Universal structures and are embedded in the multi-dimensional fabric of the Universe – from which the manifestation of all life within this dimension comes forth. Many times I have often contemplated if there is some Master-Structure that represents the geometry of the entire Universe and incorporates all of the others within in a 12th dimensional spatial field – and it seems that there is one unifying structure in 12 dimensions that gives rise to the manifestation of all lower-dimensional geometries. 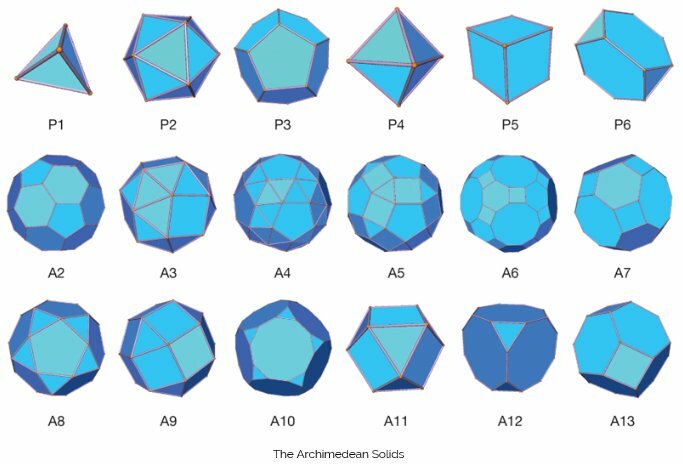 The diagram below shows the Platonic Solids (P1 – P5) and the Archimedean Solids (P6, A2-A13). The Dodecahedron and Icosahedron – (P3 and P2 respectively), are of particular interest when it comes to the geometry of the Merkabah. 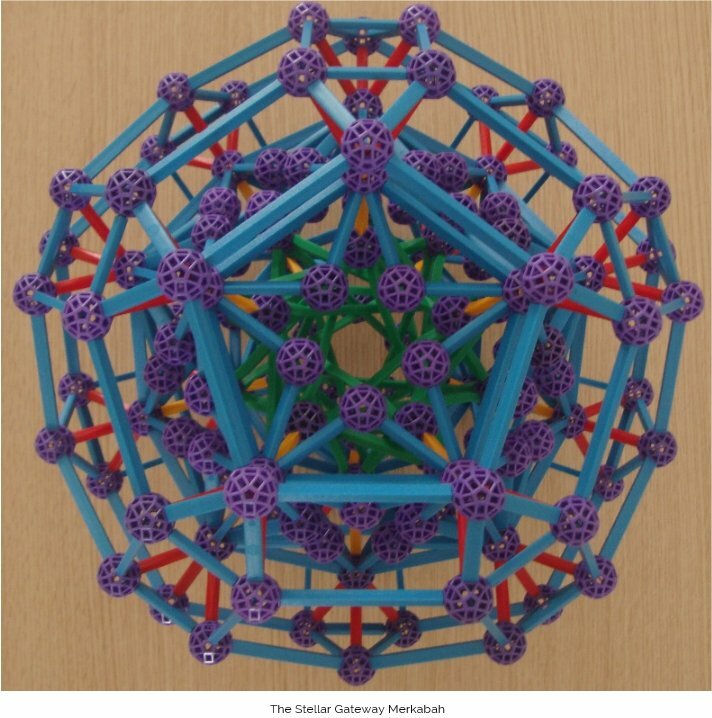 The Dodecahedron has 12 sides and 20 vertices – and the Icosahedron has 20 faces and 12 vertices. It may be more than coincidence that the energies of these structures are very relevant for the year 2012 that has now passed. Through my own work as a Merkabah Artist – have discovered that these structures have the power to instigate dimensional journeying. They appear to amplify the energies of the cosmos into this dimension, opening up portals within space-time that are accessible to those of a high enough vibration. I have had many experiences akin to the Contact movie, albeit far more profound and far out – and am able to repeat the experience many times by using the Merkabahs. 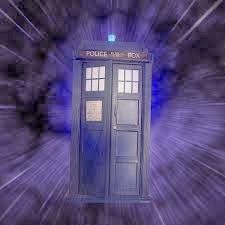 In the same vein as the movie, the whole process happens in a different temporal reality – and I return a second later having travelled half the galaxy and spending a considerable amount of time there. Contemplation and the meditation upon such Merkabah Geometries allow one’s consciousness to connect with our higher dimensional energy and can create powerful conscious gateways into other spheres. They also can be extremely purgative energetically and some people find it impossible to be around the larger Merkabahs that I create, because of this cleansing intensity. Once our light body is fully activated, there are no places for denser energies to remain – and many of my Merkabahs represent the light body in a rarefied and pure state. Meditation on the Icosahedron and variations of the Icosahedron can be very helpful in order to become more conscious of one’s relationship with Source, and those receptive to the energy will be able to access the vibration of Christ Consciousness through the power of the Icosahedron. The Icosahedron is the main structure of energetic amplification and the dodecahedron has the effect of instigating dimensional transport. I then found by moving from the simple dodecahedron to the geometry of the small rhombicosidodecahedron (A5) it was possible to create more elaborate structures (such as the Stellar Gateway below) with more powerful effect. 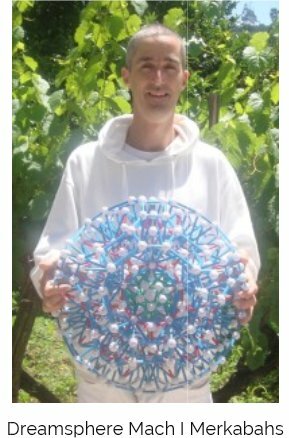 Here I was able to create an inner and outer dodecahedral shell within the same structure – and this increased the intensity. The incorporation of 5-pointed stars on the pentagonal faces amplified the energies of our own Sun (which is predominantly a 5th dimensional Star). Much larger stars have an energetic wake extending across more dimensions (more in Keys to Immortality). Each star and planet will have its own unique Merkabah vibrating at its core. The planets generally contain the Platonic Solids or compounds of them – and the stars contain variations of the Archimedean Solids – but in multiple dimensions. The Earth Merkabah is a compound of two tetrahedra (AKA The Stellated Octahedra), depicted below. One tetrahedron points upward and the other points downwards, yet they intersect. This is the Merkabah most commonly depicted in metaphysical literature and this Compound of Two Tetrahedra will fit within the 3D outline of a cube – pointing to the intrinsic 3D aspect that this planet is vibrating in at this time. Thus the work for ascending beings is to firstly build the 3D Earth Merkabah within their light body, which through meditation, cleansing and the opening of the heart chakra – is not so difficult. All beings vibrating at the level of the heart chakra will automatically achieve this. The next task is to build the 5th dimensional Earth Merkabah (The Metatron’s Cube) within their light body. The Metatrons cube is a compound of all five Platonic Solids combined. 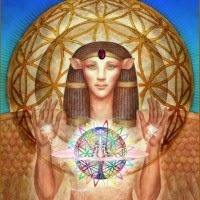 In the completion of the building of the Metatron’s cube template within one’s light body – achieved through meditation, vibratory purification and reflection upon sacred geometry – one breaks through into 5th dimensional consciousness and one is then returned etherically to the vibration of Eden. For many individuals, their Merkabah Vehicle will self-assemble as they ascend and issues preventing assembly will be automatically resolved in the process. Having visions of the Metatron’s Cube, either in dreams or meditation – is a strong affirmation that one has achieved this level of Merkabah Vehicle activation. One has then vibrationally aligned their light body with the 5th Dimensional Earth. The next stage is to be able to access the Central Sun Portal (the wormhole within our own Sun) so as to prepare for the Ascension of the Body into 5D and the Return to Immortality. From here on, one is ready to begin accessing Star Gates. A star-gate is in essence a Merkabah Portal within a stellar body that permits passage elsewhere. The energetic frequencies of the Merkabahs within stars are aligned to similar Merkabahs within other stars – this alignment creates a wormhole for beings with the vibration to match. The Stellar Merkabahs are a lower dimensional manifestation of the overall Universal Master Merkabah (a geometric reflection of the Alpha/Omega Particle discussed in my second book) that I believe to exist in a 12th dimensional form, which can embody all other lower-dimensional geometries within. Ascending beings do not need to give attention on being able to decipher the Ultimate Merkabah of Source – but the familiarity with the planetary Merkabahs and some of the stellar ones is useful. Stars throughout the galaxy contain various geometries at their core, creating quantum gateways into higher dimensional spheres and linking different star systems together. Stellar Merkabahs embody the geometry of the Archimedean Solids. These Merkabahs are vibrationally aligned with star-gates within other stars beyond our own Sun and permit interstellar travel. Thus, these more complex Merkabahs are tools for facilitating the Star Being (6th dimensional) Ascension within our being. Receptive individuals using these Merkabahs will be able to traverse the galaxy with their higher dimensional body and access multiple star systems, once their light body has assimilated these structures into its blueprint. The Light Body can assimilate all kinds of geometries – and once it has done so, it then retains the ability to travel to that particular Star System and one is then connected with the ET Intelligence of that system. Those that become competent at this will activate their Rainbow Body of Light and in due course, their 7th dimensional Star Body and will become conscious interstellar explorers. 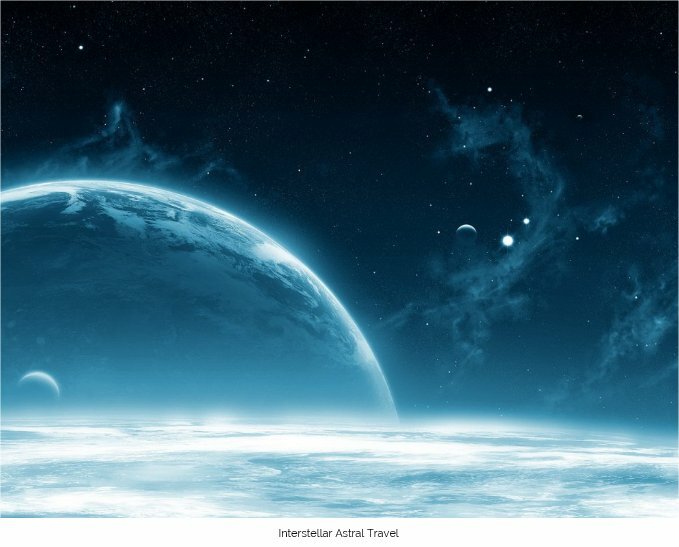 Interstellar travel within the 3rd dimension is impossible because of the time-space limitations, thus do not expect any 3D aliens to show up anytime soon! Interstellar travel is only prevalent within higher dimensional Ascended Races, who have understood the mechanics of wormholes and portals. Advanced ETs create Merkabah Crafts similar to my creations, in order to permit passage to different points in the galaxy. 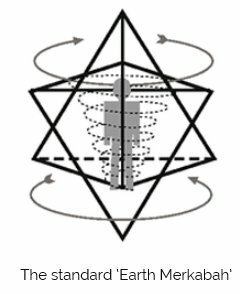 The difference between the Merkabah Vehicle and a Merkabah Craft, is that the second is a more advanced technological creation, made by the Star Beings that can carry multiple occupants – whereas the Merkabah Vehicle is our own unique Vehicle only. However, our own Merkabah Vehicle can ‘dock’ with these advanced multi-dimensional ET crafts in order to go deeper into the Universe. Those who have accessed the deeper dimensions of hyperspace and have the contact with the Beings will undoubtedly come across these crafts and have some very profound experiences within. 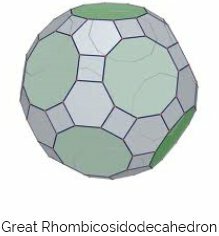 A Merkabah Craft usually takes on the appearance of the regular Archimedean Solid – the Great Rhombidodecahedron. It has 12 decagonal faces, that in the higher dimensions are concave and serve as the ‘docking bays’. These crafts also serve as Interstellar Space Stations where numerous groups of Star Beings – and astral travellers in their Merkabah Vehicle – can gather. In the higher dimensional worlds – these Merkabah Crafts can be seen to be orbiting beautiful worlds, spinning, beaming beings to and from the surface and flying through the centre of Stars. These Interstellar Space Stations are located throughout the Galaxy and are places for Beings from many worlds to gather. Intrepid trans-astral travellers are also welcome. Huge space stations also appear up here and simply through a boost in our vibration, our consciousness can shift from the Earth plane and we can then awaken in hyperspace in the midst of some technological creation made by the Star Beings. These space stations are often found in orbit within the coronas of stars, and some lie close to the Galactic core itself, and teleportation devices within allow for transit between different stations. Though the intelligences are very benevolent, they are surprised to find human consciousness appearing up here. There is no need for any security or guarding up here, for our consciousness will let us see anything we are attuned to seeing and so it is not possible to hide anything on the higher dimensions – for anyone with the corresponding vibration will be able to see it. Hence these realms are intrinsically open and transparent – being open and transparent on the Earth plane may well contribute to the ability to visit these higher realms. These orbiting stations pulsate and vibrate with light and there are many luminous panels bearing advanced instrumentation. They all exist within the ethereal realities, having no solid substance. The floors are often decked out with hexagonal panels with patterning similar to honeycombs and marked with varying unintelligible inscriptions and alien writing. There is a strange sound in these places, almost like the sound of metal cymbals vibrating long after they have been struck. The vibration pulsates through the chambers and brings about a sense of familiar recollection as if one had been here many times previously’. In terms of their dimensional qualities, they have the same characteristics as a ‘tardis’, in that the inside appears to be much larger than the outside. On some occasions, I recall entering these structures to find entire planetary spheres and solar systems within – populated by vast collectives of ETs and many billions of individual Immortals becoming visible. The vibration inside these Interstellar Merkabahs is off the scale in human terms. Often, to arrive here feels like we have entered the heart of Creation itself, for inside these structures everything is so rarefied and pure – pristine and unblemished, profoundly big and yet so intricately small at the same time. There is a deep vibration of love here – and a return to a Galactic Knowing, a re-awakening to the fact that once one belonged here and that one has travelled here many times in dreams and not realized the fact before. It is a place of extreme power – all beings within, harness the energy of the Universe and direct it outwardly with pure intent. Individuals coming here will certainly feel as if they have ‘died and been reborn in heaven’. The centres of these structures often contain dazzling Central Cores – where the energies of the structure are amplified to open up a Central Wormhole to the Central Galactic Sun and to Source itself. The entire structure itself appears to be able to fold in multiple dimensions in many indescribable ways. One would need to understand how inside and outside become one, whilst contemplating the inside of the inside of an inside AND the outside of the inside within the inside in order to comprehend these realities. Higher dimensions appear to be folded up and bound within the smallest aspects of the dimension below – thus giving rise to the possibility of forms that have more than two sides – yet have no sides at all when viewed from the overall unifying dimension that they exist in. Such a contradictory paradox resolves itself only when one is within these dimensions. One can understand how one overall hyper-spatial reality can contain several and distinct realities within – how one reality bubble can hold many nested realities within – separate and distinct, yet unified by the higher-dimensional whole. In this remarkable unfolding of dimensional reality – one discovers the infinite depth of one’s own consciousness. One looks within and finds one’s entire being is embedded with these remarkable dimensional manifestations. The energies of the macrocosm and the microcosm are combined within one’s being in profoundly intricate and beautiful ways. To perceive and know these realities with a full awareness is to under-stand the eternal nature of being – how there is no death in these dimensions – and how one can continue to be for ever, changing from one expression of being to the next. About the author: Bio Free Spirit is a Spiritual Master and the author of three books including Keys to Immortality. Reproduction of the blog is permitted with the addition of the following text: This blog is reproduced with the permission of Spiritual Master Free Spirit and contains extracts of the book Keys to Immortality. Reproduced with the permission of Spiritual Master and author Free Spirit.